Overwhelming majority of Israeli Jews hope next government will be right or center-right. More than half of Arabs want leftist government. 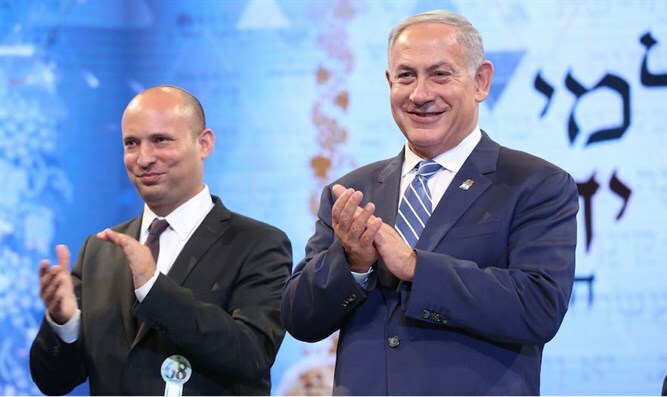 JTA - With talk of elections in the air, a new survey found that 70 percent of Israelis want a right-wing or center-right government. According to the latest monthly Peace Index, published Tuesday by the Israel Democracy Institute and Tel Aviv University, only 24 percent of the country prefers a left-wing or center-left government. The survey included 500 Jewish and 100 Arab adults and had a 4.1 percent margin of error. A coalition crisis over Prime Minister Binyamin Netanyahu’s opposition to the creation of a new broadcasting authority was averted this week. But the Prime Minister remains under investigation for corruption, and many in Israel expect elections sooner than later. Even many of those who want a government that tilts toward the political left do not expect to get one, the survey found. Fully 81 percent of Jews said they think a right-wing or center-right government is likely to be elected, compared to just 8 percent who said they see a left-wing or center-left government coming to power. A series of polls in recent months have shown Yair Lapid, the head of the left-centrist Yesh Atid party, challenging Netanyahu for the premiership in snap elections. Known to read the public mood, Lapid last week said he would try to form a national unity government if given the opportunity. Public support for the political status quo may reflect relative optimism about the country’s security situation, which half of Jews deem good or very good, according to the Peace Index. Some 35 percent say its “so-so,” and just 14 percent say its bad or very bad. Diplomatically, 32 percent of Jews says things are good or very good, 38 percent say they are so-so and 26 percent say they are bad or very bad. The survey also found Israelis generally unworried about U.S. President Donald Trump’s invitating Palestinian Authority chief Mahmoud Abbas to the White House. Some 75 percent of Jews and 88 percent of Arabs in Israel said they do not see this as a negative development. Trump has also invited Jordan’s King Abdullah II and Egyptian President Abdel-Fattah al-Sisi to the White House as part of an apparent attempt to restart Israeli-Arab peace talks.